The Temple of Jupiter was the most important temple in ancient Rome, located on the Capitoline Hill, and towering over the Roman Forum. Lucius Tarquinius Priscus, king of Rome from 616 BC to 578 BC, vowed to build this temple to the most supreme of the Roman gods while battling with the Sabines. The foundations and most of the temple were completed by Lucius Tarquinius Superbus, the last king of Rome before the revolt that formed the republic, who ruled from 535 BC to 510 BC. It is said that the Temple of Jupiter was dedicated on September 13, 509 BC to the Capitoline Triad, consisting of Jupter, Juno and Minerva. The temple measured about 200 feet by 200 feet. Each deity of the triad had a separate chamber, with Juno on the left, Minerva on the right, and Jupiter in the center. On top of the roof was a terra cotta sculpture of Jupiter driving a chariot drawn by four horses. This temple burned in a fire of 83 BC during the civil wars under the dictator Sulla, but it was rebuilt and dedicated in 69 BC. That building burned down on December 19, 69 AD when an army loyal to Vespasian battled to enter the city in the Year of the Four Emperors. Vespasian rebuilt the temple and dedicated it in 75 AD, that one burned in 80 AD, and Domitian rebuilt the temple, which lasted until all the pagan temples were closed by the emperor Theodosius in 392 AD, after which it was sacked by the Vandals in 455 and destroyed in the 16th century when a palace was built on the site reusing material from the temple. 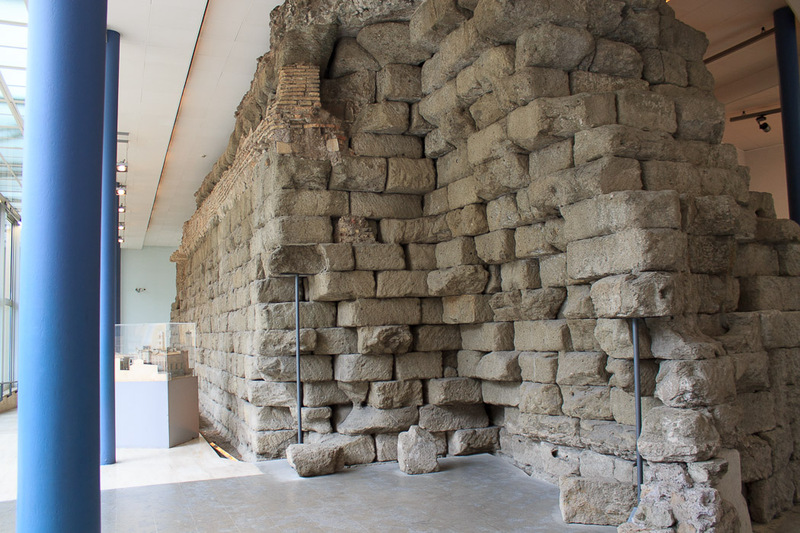 Today, portions of the temple foundations can be seen in the Capitoline Museum, as shown in the images on this page. 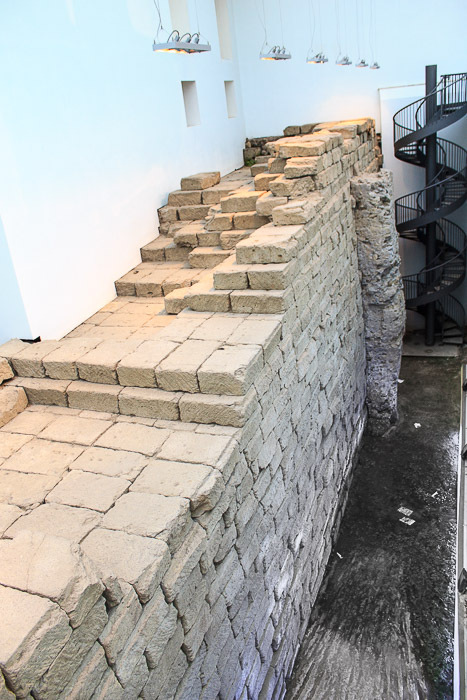 These foundations have been dated to the second half of the 6th century BC. See all Temple of Jupiter photos.